The economy in Africa is growing, but poverty and unemployment are rife. The President of the African development Bank, Akinwumi Adesina, speaks in a DW Interview about it, where now it is necessary to invest. Deutsche Welle: The economic growth in Africa. And yet, it still remains insufficient to reduce unemployment and poverty, says the report of your Institution. How many Jobs would be created every year in Africa, in order to solve these two fundamental problems? Akinwumi Adesina: Our Problem is that each year 10 million new young people on the labour market flows, but only work for three million. This deficit of seven to eight million Jobs we need to eliminate by creating Jobs. We have no other choice! I don’t think that the future of young Africans in Europe, and I’m not going to let that happen! I do not accept that their future lies on the floor of the Mediterranean sea or in the heat of the Sahara. The future must lie here in Africa: with a still higher economic growth. The gross domestic product has to be the engine for the creation of employment of young people. We need to convert the demographic advantage of Africa into an economic advantage. We need to support the young people that you can get better Jobs. But it should also not be any work, but a work of high quality, which contributes to the fact that our economy is boosted. 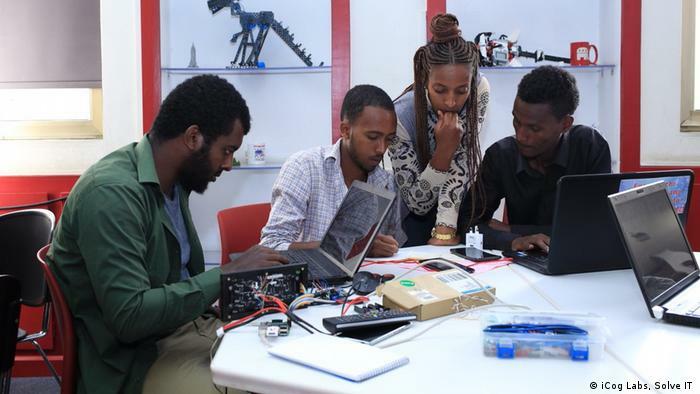 For this reason, the African development Bank has begun to support the States financially in order to create, over a period of ten years, 25 million Jobs. We have focused on three areas: to make Africa richer, we need to change, firstly, agriculture, in the production, but also in the processing and added value of our agricultural products. Therefore, we have decided that we will invest 24 billion dollars in the agriculture – for me, the future of Africa. Secondly, small and medium-sized enterprises, and, thirdly, investments to the sector of information and communication technology. They talked of industrialisation, to create Jobs and to fight the informal economy, as well as the creation of a large internal market for the whole continent. Do you believe that these two factors are sufficient to protect Africa before the international trade wars, the decline in the price of raw materials? If something is not running as it should, you may not just get on with the things that are going wrong. You can’t normalize what is not normal. And it is for Africa is not normal, that it note its raw material (unprocessed,. d. Red.) exported. It is not normal that you exported cocoa beans. It is not normal to export cotton fibers. It is not normal, coffee (unprocessed, Anm. d. Red.) to export. The secrets of wealth are clear: The rich countries of this world, those that are industrialized and the value of all draw what you produce. And the poor countries are exporting their raw materials. This is the reason why the African development Bank has a strong focus on the industrialization of Africa! Ghana and the ivory coast export beans, especially of cocoa – the chocolate is mostly produced elsewhere. 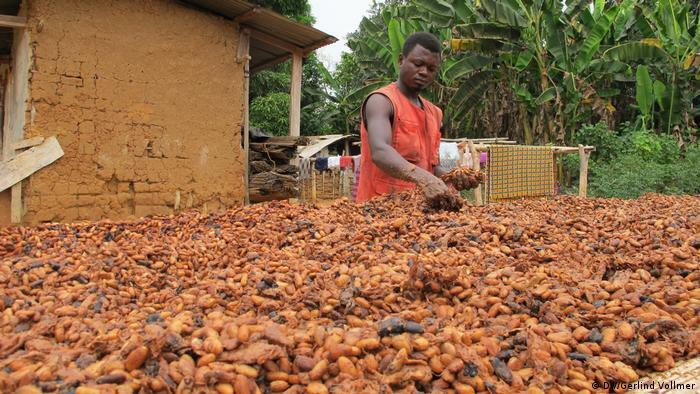 Last year, we have mobilized in Ghana 600 million dollars, to the cocoa-forward processing. We gave the coffee marketing Board of the Côte d’ivoire, seven million dollars, a change in the leadership in this sector. There is not a single case in which a Land of poverty escapes, without that it is industrialized. 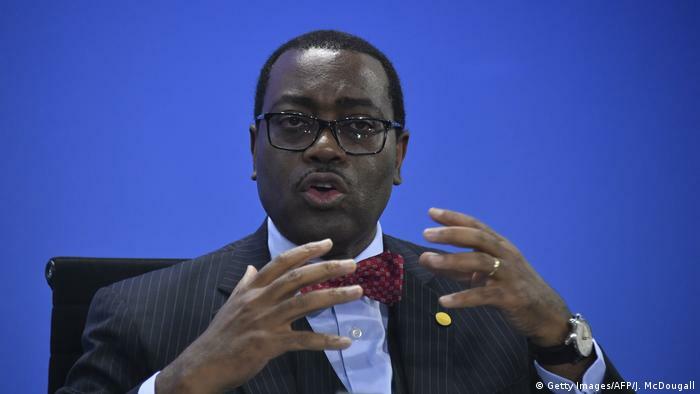 For us in the African development Bank, the process of industrialization in Africa need to be Agro-industrialization, i.e., one that relates to agriculture. That would be a huge opportunity for millions of Africans living in rural areas. And I do not accept as President of the African development Bank that poverty is a comparative cost disadvantage for Africa. What do you think of the CFA Franc? There are Yes for some time been a debate about this, fueled also by the Italian political right wing, supported by the Nigerien Minister of Finance, that the Franc is CFA, the impoverished, the French-speaking countries of Africa. You know, such discussions about currencies have to do with decisions of the African development Bank. It is the countries themselves that lead to such discussions. Our role is clear: We must make the necessary resources available to make analyses from all perspectives. And in the end it is the countries themselves that make the decision! The Interview was conducted by Julien Adayé.